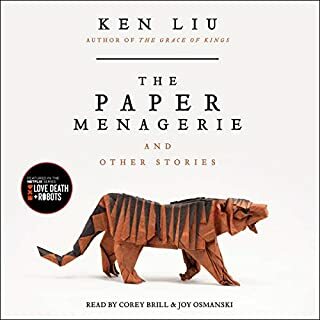 Two men rebel together against tyranny - and then become rivals - in this first sweeping book of an epic fantasy series from Ken Liu, recipient of Hugo, Nebula, and World Fantasy awards. Wily, charming Kuni Garu, a bandit, and stern, fearless Mata Zyndu, the son of a deposed duke, seem like polar opposites. 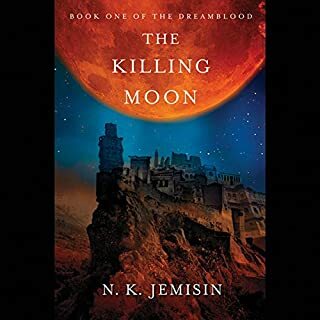 Yet in the uprising against the emperor, the two quickly become the best of friends after a series of adventures fighting against vast conscripted armies, silk-draped airships, and shapeshifting gods. Once the emperor has been overthrown, however, they both find themselves the leaders of separate factions - two sides with very different ideas about how the world should be run and the meaning of justice. ©2015 Kenneth Yukun Liu. All rights reserved. (P)2015 Simon & Schuster, Inc. All rights reserved. 3.5 stars. Inspired by ancient Chinese epics, The Grace of Kings is a worthy entry into contemporary fantasy. The characters combine larger-than-life qualities of cleverness, wisdom, strength, and courage with familiar human flaws and frailties to produce a story that's as much a play of ideas as an adventure. 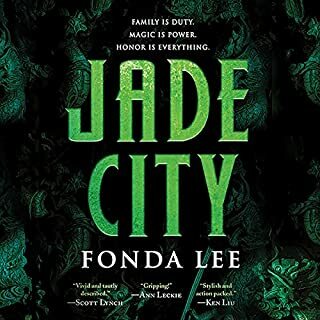 The novel is set in a world where seven distinct cultures (some more "Asian" than others) have always resided on seven different islands, constantly fighting with each other, but maintaining a balance of power. However, that ended when one nation developed a powerful fleet of airships and conquered all the others. The new emperor, now in power for some years, has labored to impose a single system on all the nations. 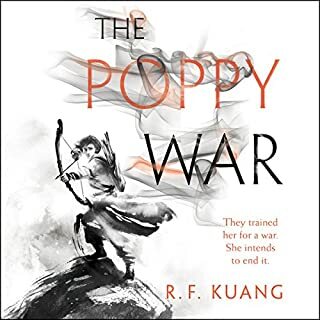 But the forced peace begins to unravel when a scheming official assassinates the Emperor and installs a new, more pliable ruler, who doesn't understand that power is a double-edged sword. Living on one conquered island, indifferent to politics, is the clever but shiftless young Kuni Garu, whose personal philosophy is all about making the most interesting, if not necessarily the most responsible, choices. Growing up elsewhere is an imposing young man named Mata, who burns for revenge against the Empire after what it did to his family, and has little patience for anyone he considers weak or cowardly. And in the background are the gods, who are carrying out their own celestial struggle through small acts of manipulating human affairs. In their own ways, Mata and Kuni are each pulled into leadership roles when a rebellion begins, the former as an uncompromising warrior, the latter as a bandit leader who reluctantly accepts the mantle of greater responsibility. The two join forces and eventually vanquish the enemy in a series of tough battles and daring schemes. However, that's only the halfway point of the book. In in addition to the usual political upheaval that accompanies a conflict's end, the outcome of the war sows seeds of division between the two friends, and Kuni exiled to his own small domain, while Mata goes on to prove that a warrior's strength and uncompromising will don't always translate to being a good ruler. And so the novel's real struggle begins, not just over territory, but over values and ideas. The world of the seven islands can't go back to what it was, but where should it go? As a writer, Liu seems as interested in instruction as storytelling, using characters to embody different philosophies about religion, governance, leniency vs. force, the roles of men and women, science, how to reconcile differing cultural ideas, how to live, love, etc. As a result, most of the characters aren't as well-developed or permanent to the story as Kuni and Mata, and I found myself losing track of who was who at times, especially given that some names sounded similar in the audiobook. The different cultures and gods were also a little confusing to keep in order. Still, even if the lessons in the story were conspicuous, Liu's insights found their way in with sufficiently light, humorous touch for me to enjoy the novel and its Eastern flavors. If the years to come bring more fantasy set in a Chinese, rather than Western European, milieu, I won't be disappointed. The story seems to following the model of ancient Chinese classics like The Romance of Three Kingdoms a bit too closely - Grace of Kings attempts to portray generations of history and myth, unfortunately characters and finer plot points get swallowed up in the confusion. This could be three or four moderately long novels instead of one big epic. 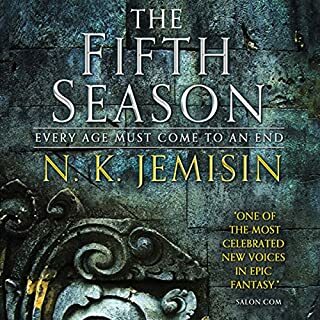 This didn't scratch my fantasy itch - maybe I'll check out Wheel of Time finally, or the audiobook version of Game of Thrones. Honestly - I don't remember them. Do you think The Grace of Kings needs a follow-up book? Why or why not? Unfortunately, no. There is enough material here for at least a trilogy, which is part of the problem. Perhaps a new series in the same world would be interesting, as long as the author takes his time. Despite feeling like this book was a bit of a dud, I do like Liu's style and feel his future work may be worth a try. In many ways, this had the makings of a good story. But it fell short of the "epic" it is advertised as, and that's too bad. I don't want to inadvertently spoil anything, but it seemed that too often when a crucial moment was upon a leader or main character, betrayal was a foregone conclusion, or a leader or character made a snap decision or went against their previous nature & it seemed done more to advance the storyline, rather than to remain true to what we believed about the character. It just rang false several times, which took me away from the story or caring about it any more. And that seemed to happen too often. Which may even be true to human nature...history is, after all, full of decisions made by leaders to advance agendas rather than out of concern for humanity or the world. Anyway, it was obviously a good enough story, as I completed it. I just don't know that if recommend it. The Grace of Kings was unlike other fantasy novels I’ve experienced before. The writing, setting and culture were very great and I enjoyed the characters immensely. The main characters had great character development and the struggles they went thru really intrigued me. The way events were shaped by them to form the bigger picture was fantastic. And oh dear what a bigger picture it was! All too frequently epic fantasy novels are set in an almost stock medieval world. So seeing this Eastern inspired land was such a nice change. BUT! Now here is my downside – The first half of the book was such a huge chore for me. The pacing was a big problem for me and at times I seriously struggled to continue. It was like a huge boulder that took a long time to get going but once rolling couldn’t be stopped. There was so much historical and world building information dumped so frequently in between character scenes that my brain wanted to shut down from the history lessons. It stole my thunder every time. There was also big flashback personal background histories given as each new character was introduced. These personal backgrounds essentially included their entire life (almost) from childhood and I grew tired with that pattern quickly. I’ve never experienced the amount of character background info given in one book as I did here. In my opinion a better balance needed to be struck between character background, plot and world building. Due to the type of world and cultures present women didn’t have strong roles. One wife, Jia, did influence Kuni strongly but ultimately she was still just a wife. There was another one that comes along in the second half who was very prominent, but ultimately this was a very male dominant world. Perhaps the female presence will get stronger in the next book but I am not looking forward to the court intrigue that seems to be what will be the focus for much of that. I don’t hold this against the book but I would have loved to see stronger or more female characters. Here is where I admit I was very emotionally moved. This was by Mata and his wife and the love that develops between them and ultimately the sacrifice she makes gave me the tears eyes. I was also very invested in Kuni and Mata’s relationship and how it changed over the course of the book. Both were good men that end up at odds because of their different beliefs and goals. My heart broke for both of them and their misunderstandings. Ultimately, I had a love hate relationship with The Grace of Kings. It was a great epic fantasy that suffered under the weight of major things that didn’t work for me but was saved by beautiful writing and ambitious characters. I’d recommend this to epic fantasy readers who are fine with a very slow, more tell, less show type of storytelling. I thought the narrator was good. Some of the names of people and places are tough to follow just by hearing. The story is hopeful, exciting, heartbreaking, and sometimes you really see the idea that our best laid plans might be for naught. I liked the story, but it took me a while to get hooked, at the beginning I was struggling and only kept on going because of my stubbornness. Once hooked there are some parts where the narrative is shallow and fast and others it goes into so much detail. What would have made The Grace of Kings better? Less infodumping. For sure. It reads like an encyclopedia's history with occasional vignettes into characters lives. Has The Grace of Kings turned you off from other books in this genre? No. I still think sf can be done well, recent evidence to the contrary. The scene where Kuni is starting to woo Jia were better done than the rest of the book and showed real humanity in the characters. Liu obviously can write, which is what made this frustrating. He stood in his own way more often than not. I think Liu will eventually be a great writer, once he begins to care more about people and events than histories. I had gotten tired of standard fantasy tropes set in the watered down version of medieval Northern Europe/Britain with elves & dwarves. This completely scratched my itch for something original. It was a reworked tale from early Han dynasty China with a steam punk-like twist. I loved the character development, plot and scenic descriptions. Looking forward to the sequel. 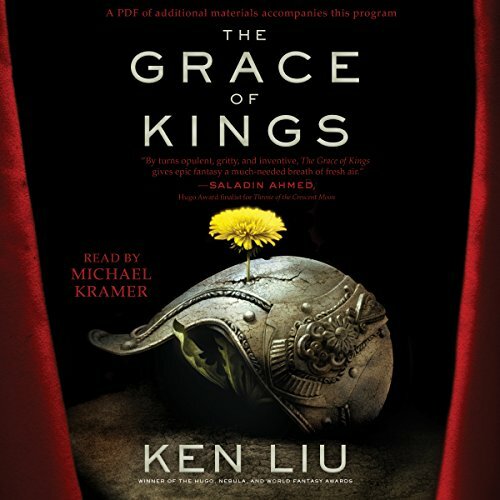 Would you try another book from Ken Liu and/or Michael Kramer? The narrator sounds like he's reading a textbook in a history class. It's so dry and the up flexion (I guess that's what you would call it) after each sentence is driving me crazy. I can't even get through the first hour. I admit it's hard for me to get into a new book, especially after spending a couple months listening to a great series. But, I honestly can't listen to this one. It was putting me to sleep on my drive. I'm upset too because I bought 2 in the series. An epic tale of politics and power. 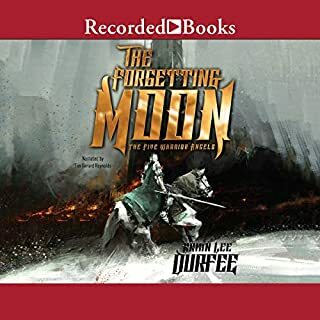 Wow, this book was like if Brandon Sanderson's The Way of King meets Dynasty Warriors! Also heaps of mentions from ancient China. Michel Krammer's narration was superb.